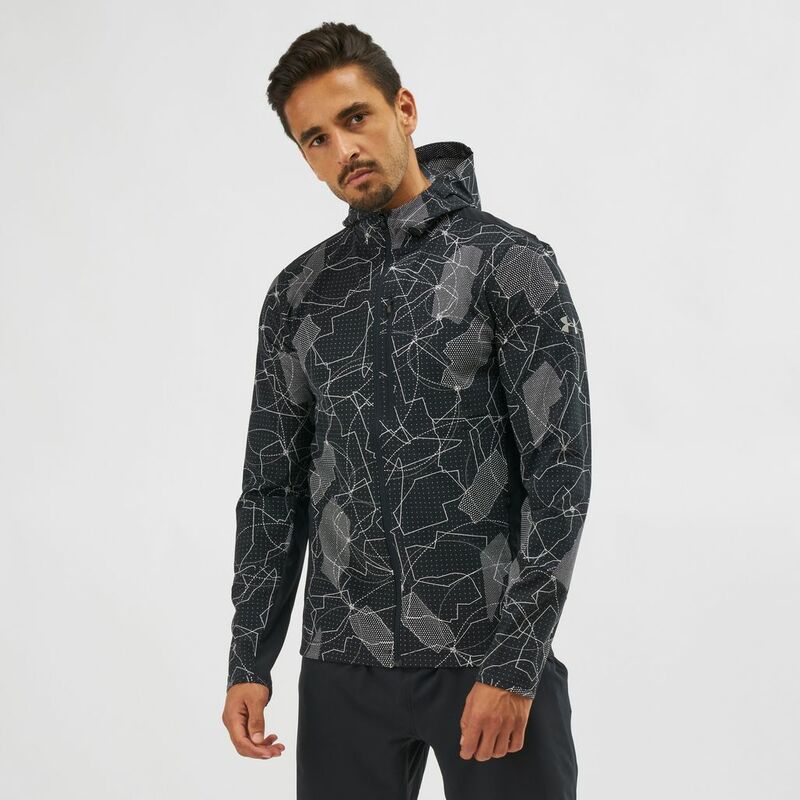 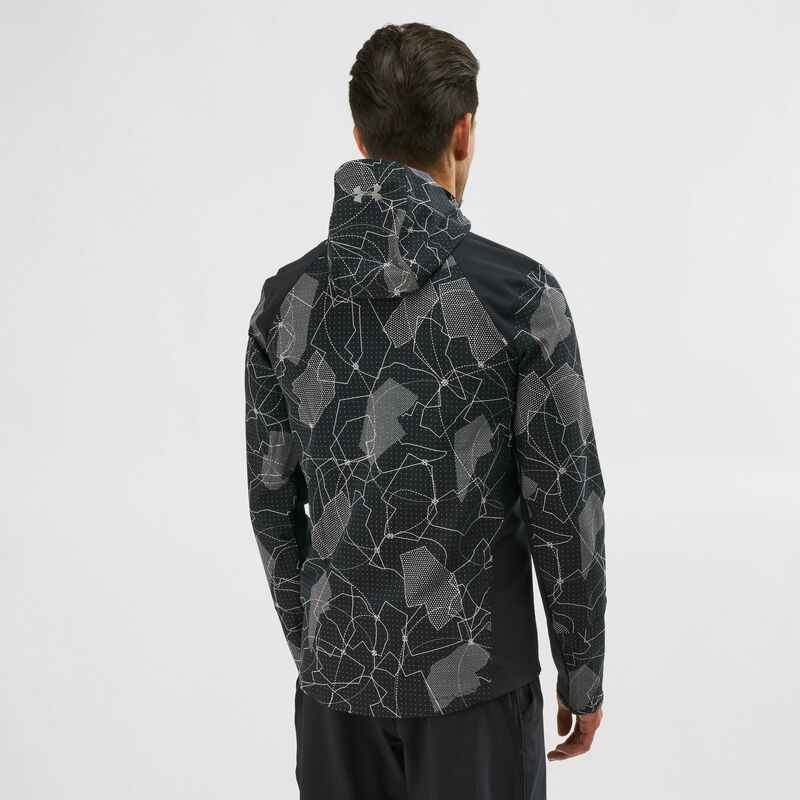 Be a force of nature with the Under Armour Outrun The Storm Printed Jacket for men. 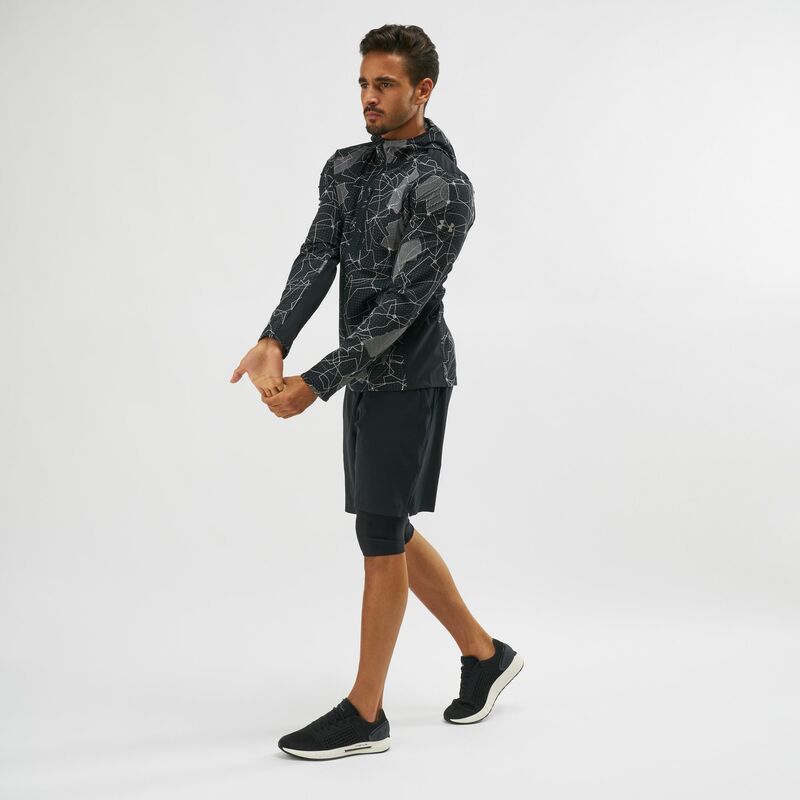 Featuring the UA Storm fabric technology, it repels water and is breathable. 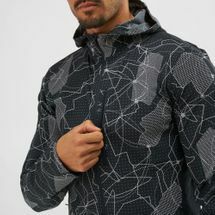 The material wicks sweat fast, it has and ergonomic shape for coverage and thumbholes for stay put sleeves. 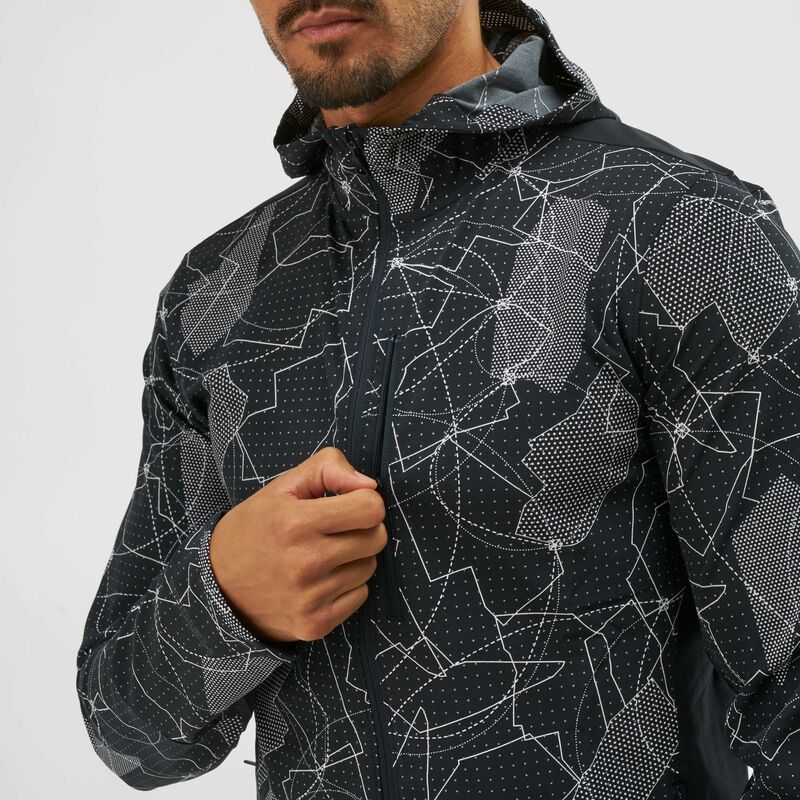 Zip front and chest pocket with interior media pocket.